We’re passionate about continually providing world-class adventure tourism products in Rotorua. Infused with a unique blend of Maori culture, we’re inspired by the stunning environment we live in and the culture we live and breathe. Our unique blend of thrilling experiences and Maori culture makes Kaitiaki a leader in adventure tourism. Four core Maori concepts underpin everything that we do. A Maori word that loosely translates to ‘hospitality’, manaakitanga it is central to Maori society and inspires the way that travellers are made to feel welcome when visiting New Zealand. In Maori culture,manaakitanga is a traditional value that is considered to be hugely important. Kaitiakitanga has been described as guardianship or protection. The basic meaning of ’tiaki’ is to guard, depending on which context it is used, it also means to preserve, keep, conserve, nurture, protect and watch over. The prefix ‘kai’ with the verb ‘tiaki’ denotes the agent of the action of ‘tiaki’. Therefore, a kaitiaki is a guardian, keeper, preserver, conservator or protector. The addition of ‘tanga’ denotes preservation, conservation and protection. This word is all about relationships, kinship, sense of family connection – a relationship through shared experiences and working together which provides people with a sense of belonging. It develops as a result of kinship rights and obligations, which also serve to strengthen each member of the kin group. It also extends to others to whom one develops a close familial, friendship or reciprocal relationship. Prestige, authority, control, power, influence, status, spiritual power, charisma – mana is a supernatural force in a person, place or object. Imagine a leader so inspiring he is able to encourage men with warrior hearts to stand up for their rights, while laying down their weapons. Click here to learn about the inspiring story of Te Whiti. The Kaitiaki mission statement is as follows: To where possible lessen our impact on the environment including the whenua Awa and Maunga. To provide a working culture and environment second to none in the Adventure Tourism sector and to strive for Kaitiakitanga. We are committed to a sustainable future for all generations to enjoy – a 100% Pure NZ. 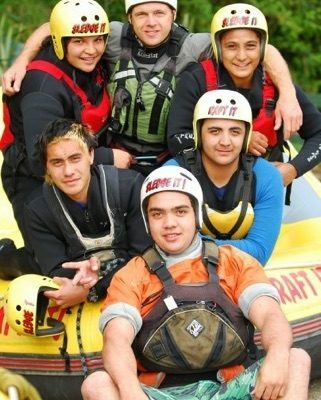 Rangatahi Training Programme – supporting the iwi youth by providing training to get into the tourism industry. This is the world’s most successful Rangatahi Adventure Tourism Training Programme. Kaitiaki’s motivation is to get the Rangatahi (Youth) of the Awa & Maunga depicting the stories of their ancestors. Born in Rotorua. Te Arawa, Tuhourangi & Ngaiti Rangiwewewhi, Ngati Tiipa, Te Atiawa Ki Taranaki. Kayla has been a part of the Kaitiaki Whanau since 2013. Growing up Kayla attended Westen Heights High School & TKKM o Ruamata, then went on to study at Waiariki Institute of Technology where she received her certificate in Adventure Tourism. The Pene Whanau have been guiding on the Te Arawa Rohe for generations; there is a rich sense of Manaaki running through their veins. Kayla is also a World champion BMX Rider – She has won numerous titles some include, NZ Sports Women of the Year BMX; Rotorua BMX Sports Women of the Year; Te Awrawa Sports awards, Whanau of the year BMX. 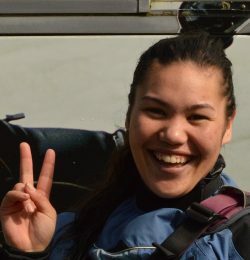 Kayla also won Gold in the U23 Women’s Raft Team at the 2014 World Rafting Championships and was ranked #2 in the U19 Womens Brazilian World Champs R4 and #3 U23 Womens Brazilian World Champs R4. 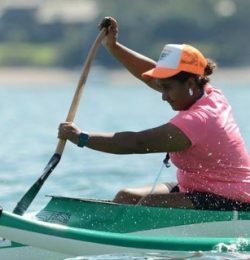 Kayla has raced in Waka Ama since she was a young girl. On leaving Tai Poutini Ben has worked for Kaitiaki Adventures. 5 years on Ben is a senior raft guide. An outstanding sportsman capable of turning his talent to whatever sport that appeals. His passion for whitewater has led Ben to do 3 first descents (including Huka falls) and has taken him worldwide to discover new countries, people and rivers. 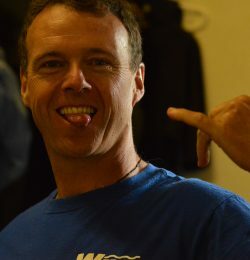 Bens casual manner and quirky humour helps to put clients at ease. Ben is a fundamental part of the Kaitiaki whanau, having been with the company since the outset. Born in Kawakawa situated in the Bay of Islands, Dan studied at NMIT and has been a part of Kaitiaki Adventures for over 4 years. Dan has worked his way up through the ranks and is now a Senior Guide. 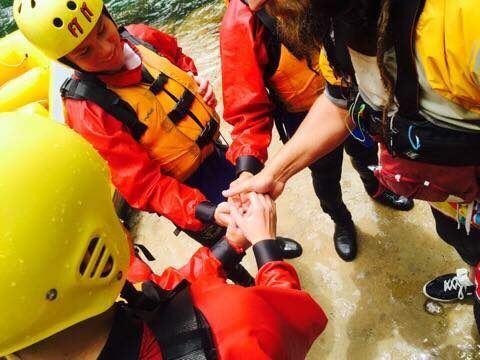 Dan has amazing rafting abilities and has always had a passion for white-water. He is professional yet amusing; easing any client worries. Born in Otautahi, Chistchurch. Ngai Tahu, Ngati Porou, Ngati Kahungunu. Raana represented Canterbury in Age Group Hockey until under 21’s where he made the West Coast Hockey Team while Studying at the prestigious Tai Poutini Polytechnic in Outdoor recreation & Adventure Guiding. 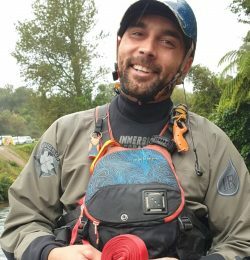 After guiding in all 4 corners of the world, Raana brought his extensive knowledge of White Water Rafting to the Kaitiaki Whanau in 2010, where he currently works as Senior Raft Guide, Assessor and River Manager. Born in Muriwai, Gisborne. Te Arawa, Ngati Pikiao, Ngai Tamanuhiri. The Kaitiaki Whanau have been proud to have Dale as a part of the Team since 2008. Dale moved to Rotorua in her late teens where she attended Rotorua Girls High School, then went on to study at Waiariki Institute of Technology. There she achieved her Certificate in Adventure Tourism, a Diploma in Applied Tourism Management and Certificate in Photography & Arts. Over the years Dale has been a club representative for Waka Ama, World Champion N3 Representative with various other titles from Sprints to Long Distance. Dale also won Gold in the U23 Women’s Raft Team at the 2014 World Rafting Championships. Dale has been awarded a NZ Maori Sports Award for Rafting & Waka Ama & Te Arawa Sports Awards for Team of the year, Rafting and Sports women of the Year for Waka Ama. Born in Motueka - Nelson; Manu studied at MHS and completed his REO Rafting in Canada. 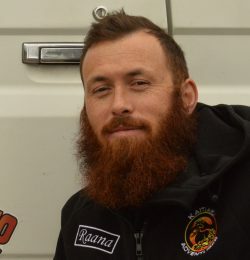 Manu joined the Kaitiaki Whanau in 2017. Manu is an accomplished boater and has a passion for outdoors. Manu brings manaakitanga ensuring all his clients have the safest yet unforgettable experience. One of the most experienced commercial guides in NZ with extensive overseas experience including; USA, Canada, Australia, Japan, Italy, Nepal, Costa Rica and Ecuador. 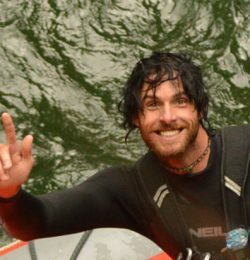 With 14 years of back to back raft seasons and having represented NZ in rafting, with his Cook Strait Waka Ama crossing where Wades team came in first and only team to finish - battling high seas and wind,… his experience is unmatched Wade has helped mould an exceptional guide crew, for Kaitiaki bring his professionalism to blend with our already exceptional standards. 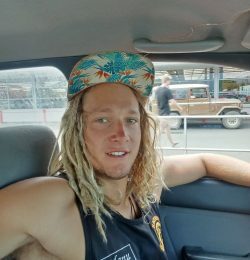 Wades interests include mountain-biking, surfing, kayaking and Whaka Ama. As management of Kaitiaki it's not only a privilege to have Wade on our crew but gives peace of mind knowing that our customers will gain from Wade's experience. After leaving Tai Poutini, where Glenn completed his adventure tourism course, he came to work for Kaitiaki. Venturing overseas to work but returning after each raft season away. 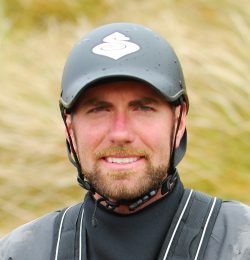 Glenn comes from a sporting background where not only kayaking, rafting and sledging became a big part but also surfing. Glenn is an easy going sociable character whose amiable personality is a great asset to both the clients and the Kaitiaki team. Jamie came to Kaitiaki after he had spent 2 years glacial guiding on Franz Joseph glacier. He is a great person to have around with his large industry knowledge and as an ex- ambulance officer, Jamie's skills helped him to be an essential part of the team. Geni is a Rotorua born and bred Te Arawa girl. After completing an outdoor recreation course at Tauranga, Geni then came to Kaitiaki. With her background in swimming at a national level, she naturally took up the challenge to sledge. Trained under the worlds top sledge guides, Geni quickly developed into the first female sledge guide. 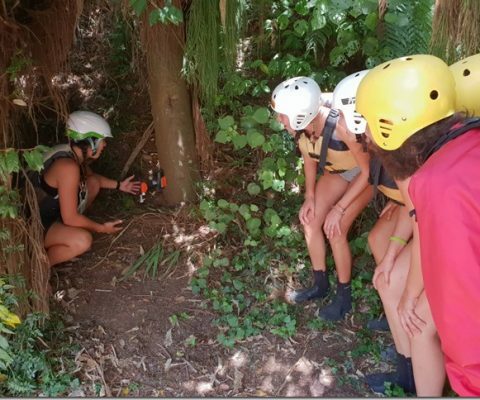 Geni's enthusiasm coupled with her determination is a great asset to the Kaitiaki Whanau. 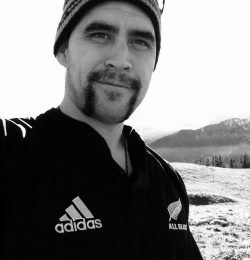 Chonk has been with Kaitiaki Adventures since 2003 after graduating from Tai Poutini and a short stint with a few companies from the west coast of the South Island. Chonk's fun loving personality enables him to get on well with his clients and work colleges alike. Chonk is now an important part of the Kaitikai crew. 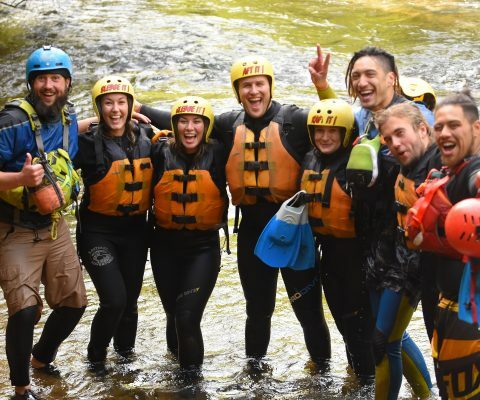 Baz's forth season with Kaitiaki brings extensive rafting knowledge that he’s gained from rafting in places such as Rangitikei and the Tully in Australia. Baz's easy going yet professional attitude has enabled him to fit straight into the Kaitiaki Whanau. Joel came to Kaitiaki directly after his Tai Poutini course. An extremely energetic person, Joel had no problem at directing his energy into whitewater sports. 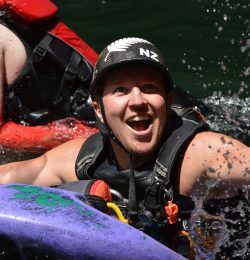 Joel is an integral part of Kaitiaki not only as both a senior sledge and senior raft guide but as an energetic presence within the company. Nigel came to work with Kaitiaki after finishing his work with the “youth at risk course” where he spent 4 seasons. Nigel has been rafting for 6 years working his way up from an aspirant guide to a senior. Nigel is our river manager, his relaxed manner is a bonus in the stressful times and he is an integral part of the Kaitiaki team. Stevie is one of the original company shareholders and is still involved in the day to day running of the company. 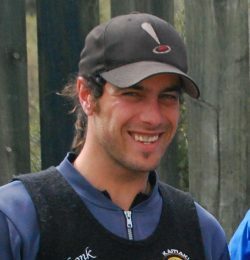 Stevie was prominent in the pioneering of the Kaituna sledging in 1999. He began sledging in 1999 and once Kaitiaki progressed into rafting Stevie followed suit. Stevie's main outside interest is touch Rugby. 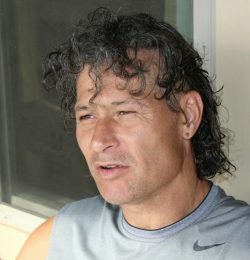 He began in 1990 and played for Taranaki in the mixed open and has continued to excel. He captained the NZ mixed touch team on the tour to South Africa in 2007 and came away as the winners of the ‘Touch Rugby World Cup” As Stevie was self taught in the Kaitiaki environment a trip with Stevie is a true Kaitiaki trip. 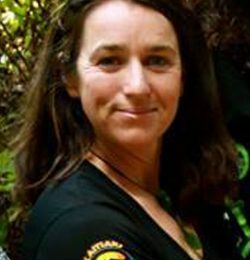 We are privileged to have Nikki Kelly within Kaitiaki Adventures. It is hard to sum up Nikki's many successes over the years. 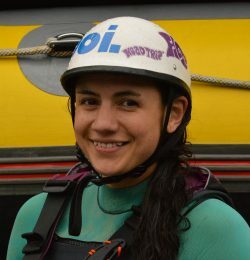 She is world renowned in kayaking having made a career for herself in rodeo kayaking, creeking and expedition kayaking. Nikki's rafting team has represented NZ since 1999. She recently took out the Top Place for the Extreme Down-River White Water Kayaking Championship held in Vail, Colorado 2009. 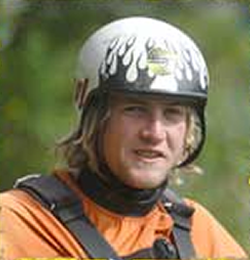 Born and bred in Taranaki, Andy attended OPC (Outdoor Pursuits Centre) gaining his outdoor guiding qualification working as a tramping, mountain bike and kayak instructor. He also attended Waikato University where he earned his Sport and Leisure Degree. Andy’s first season with Kaitiaki saw him fit straight into the Kaitiaki environment bringing a true understanding of manaakitanga from travelling the world. A true asset to Kaitiaki. 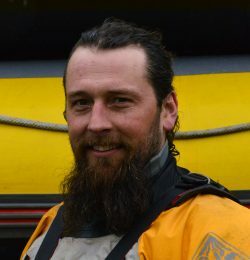 Grant is one of the original shareholders in Kaitiaki as a senior raft and sledge guides he is a key member in Kaitiaki Adventures. He began rafting in early 1990 and as a natural progression then moved into the sledging field. 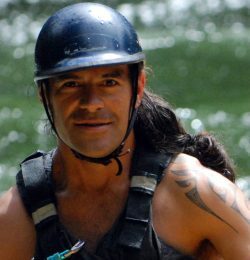 Grant helped pioneer the infamous Kaituna sledge run in 1999 and represented NZ in rafting in 2001. Grants interests include bodybuilding, rugby league and mountain biking . 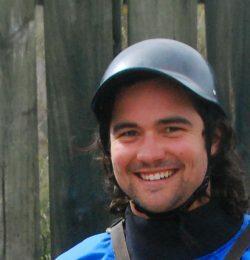 James was a valued member of Kaitiaki Adventures and had been guiding since 1996. 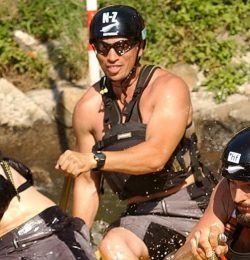 James represented NZ internationally in the NZ raft team in 1998 in Costa Rica where he then went on to captain the team in 1999 and 2000. His interest in photography led him to establish Adrenalin Shots - where James photographed various whitewater activities (including Kaitiaki's Photos). His passion for Waka Ama, kayaking, mountain biking and "Life" saw him as the perfect role model for the next generation of outdoor enthusiasts. James will be sorely missed but never forgotten. Ko Au Te Hoe, Te Hoe Ko Au.